Marketing Operations (Marketing Ops) is a well-established function. Whether performed by one person in a small company or a large team in a billion-dollar business, it is present in 70% of Marketing organizations overall and in 82% of Best-in-Class (BIC) Marketing organizations. Best-in-Class Marketing organizations are those that earn 90 or greater out of 100 from the C-Suite for their ability to prove their value, contribution, and impact to the business. These are the Value Creators. Sales Enablers are the middle of the pack, and Campaign Producers the back of the pack. Marketing Operations: Is It Worth the Money? Before we can answer what is different about the Marketing Ops of the BIC, we must first define the term Marketing Ops. We define Marketing Ops as the function in the Marketing organization that develops and manages the processes, technology, and talent that allows Marketing to efficiently scale with quality and consistency. The purpose of the function is to facilitate the running of Marketing and serve as the hub for operational excellence. Marketing Ops supports and empowers effective planning, alignment, systems, tools, measurement, and communication processes across Marketing’s functional areas, and with stakeholders in other groups, e.g. Sales and Finance, to improve and prove Marketing’s true value to the business. Marketing runs on processes: Planning processes, reporting processes, customer journey mapping, content creation processes, opportunity management processes, and so on. If your current Marketing processes are not effective or efficient, then automating them with a Marketing workflow application won’t improve anything. You’ll only be faster at following a bad process. For the Best-in-Class, their Marketing Ops serves as the central nervous system for both process and performance management. What Is Unique About Marketing Ops Among the Best-in-Class? 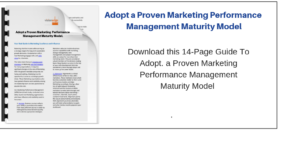 For the past several years, the results of the Marketing Performance Management (MPM) Benchmark study research has consistently revealed that the breadth of the Marketing Ops function is different among the Value Creators. Marketing Ops among the BIC have double the responsibilities of the Sales Enablers, the group that received the next best scores from the C-Suite for being able to prove Marketing’s value, impact and contribution to the business. For BIC organizations, Marketing Ops serves as this central nervous system, facilitating the planning, performance management, resource management, and systems/tools and workflow to support the entire customer experience. Within the BIC, Marketing Operations focuses on how to insure Marketing drives business initiatives forward and creates value for both customers and the enterprise. These Marketing Ops teams develop and implement the processes, systems, tools and skills necessary to link Marketing to business outcomes. Marketing Ops also tracks and reports results, and suggests improvement. In short, Marketing Operations helps run the Marketing function as a fully-accountable business by building the processes and managing the systems needed to implement MPM. If you want to improve the effectiveness and efficiency of your Marketing and don’t have a dedicated Marketing Ops function, consider making it a priority. If you have a Marketing Ops function encourage the function to concentrate its efforts on facilitating your agility. The Marketing Ops of the BIC focus on agility. 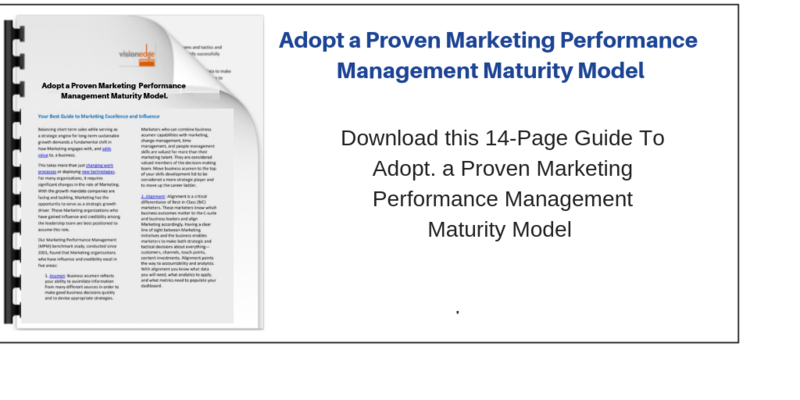 These Marketing Ops teams recognize how critical it is for the Marketing organization to be able to nimbly respond to changing customer behavior, market conditions and business direction to improve market share and/or customer value. Monitoring and reporting on Marketing’s progress against performance targets and detecting gaps and problems. How does your Marketing Ops stack up? If you’re not sure, conduct an audit. If you do not yet have a Marketing Ops function, or you already have one but want to emulate a BIC Marketing organization, give us a call.